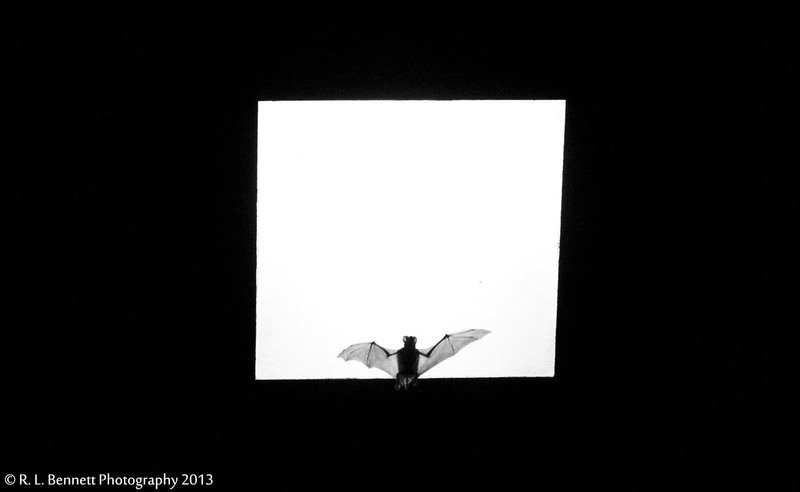 A Mexican free-tailed bat flies under a light beneath the McNeil / I-35 Overpass in Round Rock, TX. This particular bat is just one of the half-million bats that make up the Round Rock colony. To get this shot, I had to walk beneath the bridge (in guano) with the whole lot of them flying all around me. Taken on July 17, 2013 with a Nikon D7000 and 50mm f1.8 Nikkor lens. Click photo to enlarge.